Reach out to the members of your spiritual community personally and share your religious event in advance with Big Heart Postcards. 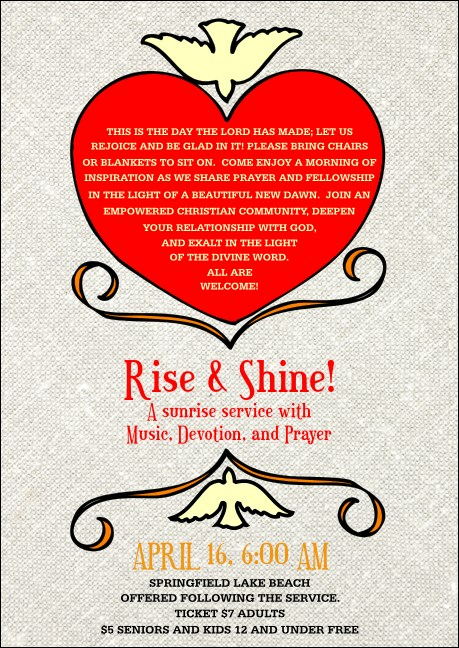 With nineteen lines of text on a background that looks uniquely embroidered, and a large red heart offset by two peace doves, these Postcard templates will have your prayer group flocking to your next event. Send the right message with TicketPrinting.com.